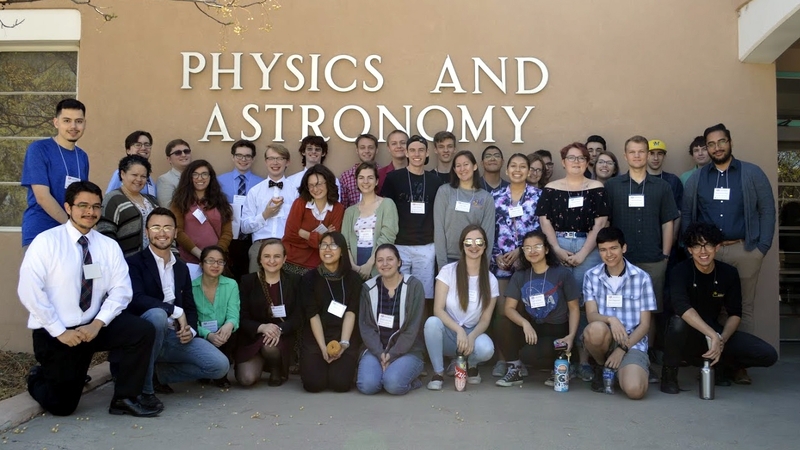 The Department of Physics and Astronomy recently held the UNM Physics Day 2018, an undergraduate research conference and open house event organized by students for students that included local area high schools as well as a large contingent of students from Northern Arizona University that also attended. 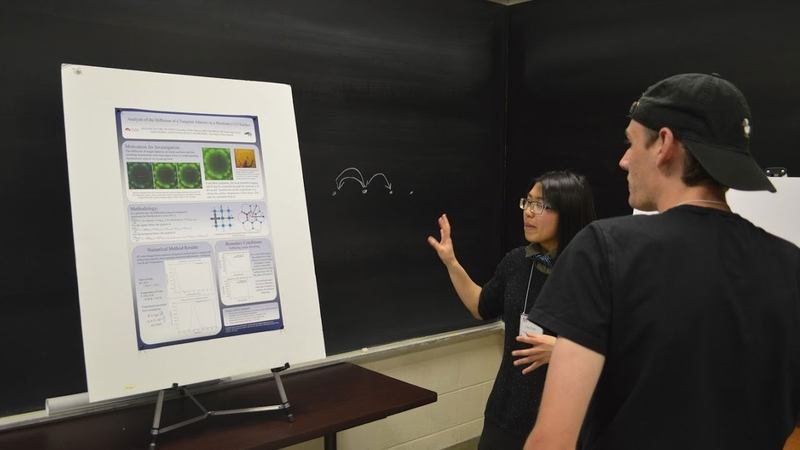 The annual event featured student talks and poster presentations, a plenary talk from alumnus Kate Brown, which was followed by a series of undergraduate research talks, tours of research labs, an awards ceremony and stargazing at the Campus Observatory. Brown, who is now an assistant professor of Physics at Hamilton College in New York, began the day with her plenary talk titled, “Sage Advice and a Series of Vignettes from a UNM Physics Alum.” Two groups of oral presentations followed including subjects ranging from Non‐Standard Cosmological Histories to X-Ray Scattering and Reflectivity Studies to Engineering the Optical Properties of Aluminum Oxide. 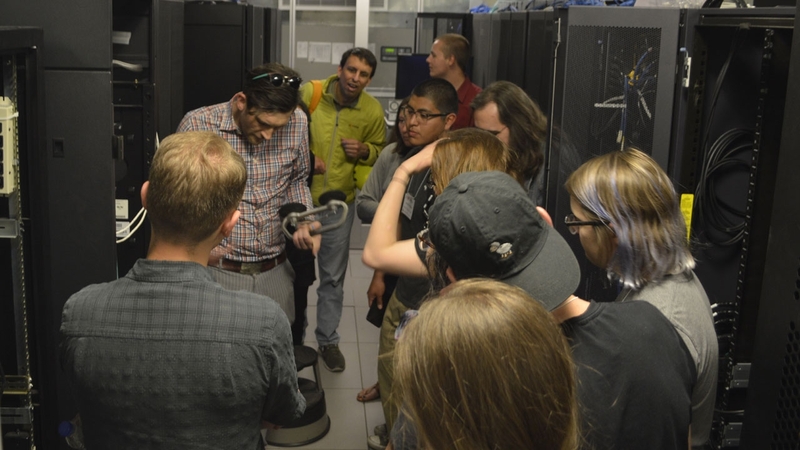 The afternoon session featured tours of several research labs, including UNM's Center for Advanced Research Computing, and a poster session that featured topics such as Thermal Infrared Planetary Science Imager, Engineering the Optical Properties of Aluminum Oxide and Computer Modeling of Subsurface Density Structures. Winners on the day included: Ryan Hamblin, Best Student Talk for "Characterization and Applications of the Nanoscale Structure of Amphiphilic Block Copolymers" and Lauren Zundel, Best Student Poster for "Spatially Resolved Optical Sensing Using Graphene Nanodisk Arrays." The awards presentation was followed by a visit to the Campus Observatory. The conference, sponsored by the Rayburn Reaching Up Fund, was organized by students Christine Bennett, Ivey Davis, Matt DiMario, Prescott Farley, Ryan Gibson, Nik Huntoon, Ryan Johnson, Nic Litza, Eric Putney, Cayman Rogers, Dilys Ruan, Daniel Russel and Lauren Zundel. They were assisted by dedicated help of several faculty colleagues including Alexander Albrecht, Francisco Elohim Becerra-Chavez, Dave Dunlap, Keith Lidke, Yiva Pihlstrom, Richard Rand, with special kudos to Assistant Professor Alejandro Manjavacas, who helped make it all happen. Additional sponsors included IEEE, Society of Physics Students and the UNM Department of Physics & Astronomy.